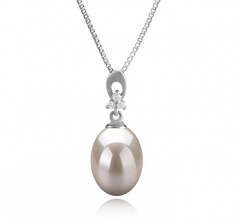 Nicely crafted, the Bambie 9-10mm White Freshwater Cultured Pearl Pendant is a beautiful addition to any jewelry box. The freshwater white pearl pendant is a vintage-inspired design that will surely bring a classic romance to your wardrobe. 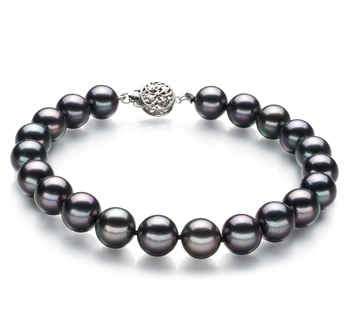 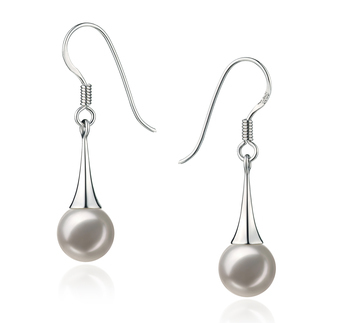 The creamy pearl has attached to it a beautiful and lustrous sterling silver arrangement that has its own identity. 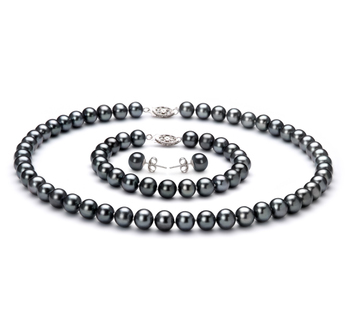 A high AAA quality is seen in its shape, body, luster and overall grade, which makes your investment valuable and durable. 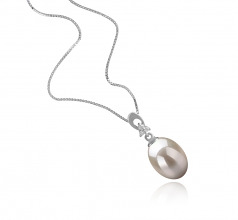 This statement dangling drop pearl pendant can be easily worn on special occasions or on holidays when you want to impress. 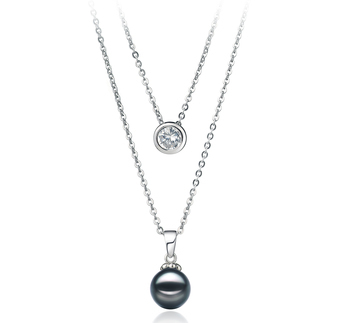 The 3 tiny placed together diamonds create a wonderful effect and sets this pearl pendant apart. 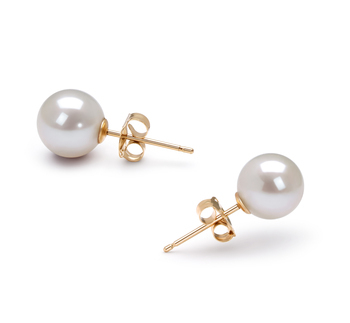 You can wear them with a monochrome outfit or with a beautiful flowy dress. 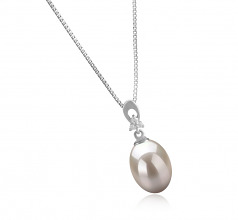 We recommend wearing this white freshwater pearl pendant with a bare neckline and even with a pony tail to give more exposure to it. 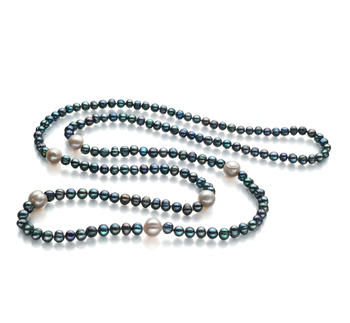 Show only for "Bambie Pendant"